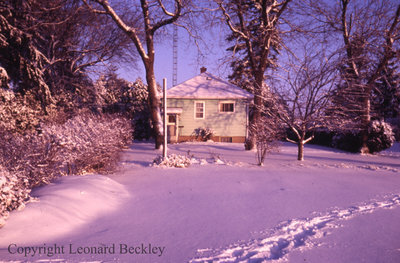 A colour slide of Leonard Beckley's backyard covered in snow. His house can be seen in the background. Leonard Beckley's Backyard, November 21, 1986, Leonard Beckley. Whitby Archives A2014_004_292.